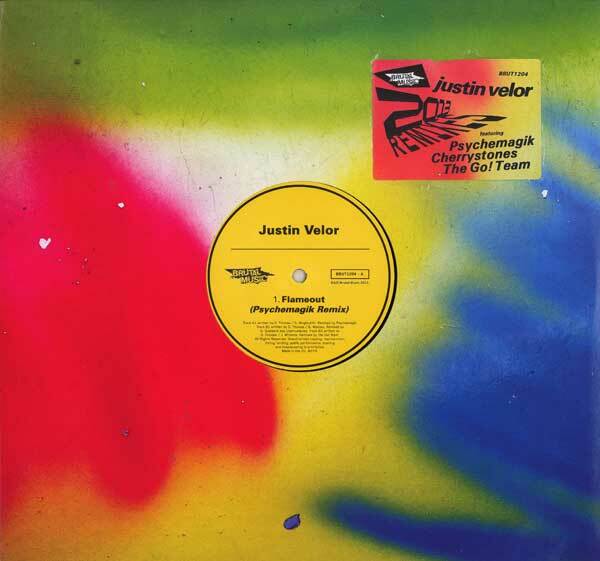 taken from the forthcoming album: Justin Velor "2013" - the vinyl version of which is released on Monday (10th December 2012), limited to 100 copies only, and available to order from Fat City Records. I believe that there's going to be a regular release in February 2013, but I could be wrong? I'm listening to the album clips and it sounds okay. It's like folky electronica, one complaint I have with a lot of todays electronic music though is it tends to become too simplified and repetitious. 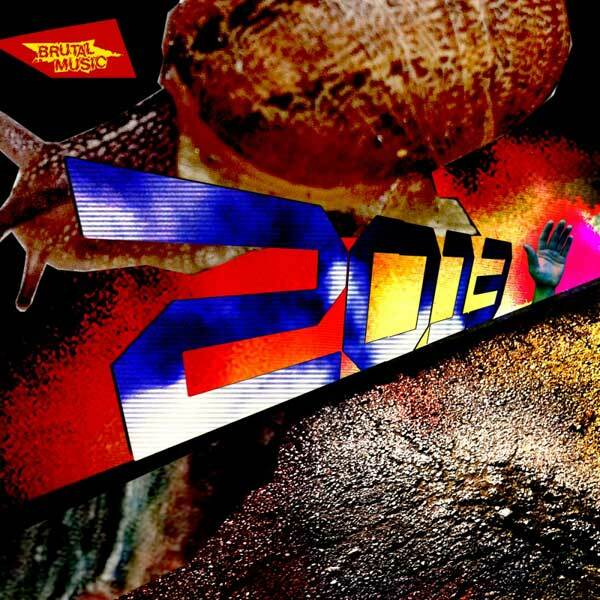 The discography page for Justin Velor's "2013" album (featuring contributions from Graham Massey) is up now. Who is Justin Velor? The man himself will tell you it's not who but what that matters. To the anonymous Mancunian, Justin Velor is more of an idea than anything - a mythical producer figure riding out a dystopian future in a New York disco surrounded by psychedelic colour clouds, the world outside poised on the brink of apocalypse. 2013 is that man's debut album, a vibrant Technicolor collision of styles ("you might call it a musical Dr. Frankenstein," he says) incorporating everything from Vangelis-inspired synth drones and nocturnal acid house rhythms to tender folk melodies and psychedelic flourishes, all delivered with a searing post-punk sneer. "I wanted to make a fantastical soundscape with colourful dynamics and a soul," he explains, "not something that sounds like it was made by some nerdy introvert on a computer." Helping him with his vision 'Velor' called upon some of the finest of Manchester's rich alternative music heritage. Working closely on the project were Doves frontman Jez Williams and 808 State founding member Graham Massey, who both figured heavily in the production and writing of the album, while another Manc icon, Teenage Fanclub's Gerry Love, adds a stunning cameo on the Eastern-tinted Missing You. Add to that Glaswegian Chris Geddes, one of the shining lights behind the insurmountable Belle and Sebastian, and Lee E John from' 80s soul sensations Imagination, who lends vocals to the record's poppy closer Back to the Source, and you have a truly stellar cast of musicians. Luckily 2013 is every bit the sum of its parts. From the pulsating sonics of Flameout ("Something that could soundtrack an apocalyptic movie like Mad Max and a night at the Hacienda simultaneously") to the broken italo-house throb of Relance to the future-folk histrionics of Listen, it's an album that doesn't so much push at boundaries so much as it drives a ten-tonne lorry at them. But beyond its experimentation and sci-fi tilt is a more human story. "At the time of making the record I was leaving Manchester, moving away," he explains. "In its finished state the record feels like a goodbye letter to the city. Documenting the good and the bad times I've encountered, re-contextualising the music that has passed through my head during this time." "I always felt like the city takes something away from you on a day to day level. Some days you feel like you're trudging the streets with no hope, with this permanent smoggy haze over you. That's why its musical output is so rich, people trying to make something to cling on to," Velor continues, with a nod to Factory Records. "I became obsessed with this puddle on the street, it would form in the same place every time it rained, then on a nice day the blue sky would be reflected in it, it seemed like a window to something more positive. I honestly think that's why I started making this record." A dizzying fever dream of schizophrenic sounds, 2013 is - as its title suggests - an album ahead of its time, a gloweringly optimistic record designed as a "set of transmissions that work with and against each other like a broken radio" that offers one of the most invigorating and innovative sounds of recent times. CD/LP was releaed on Monday (18th February 2013). The album is well worth picking up - highly recommended.